The Fear Free Initiative is all about holding your pets emotional well being with equal importance as their physical health. 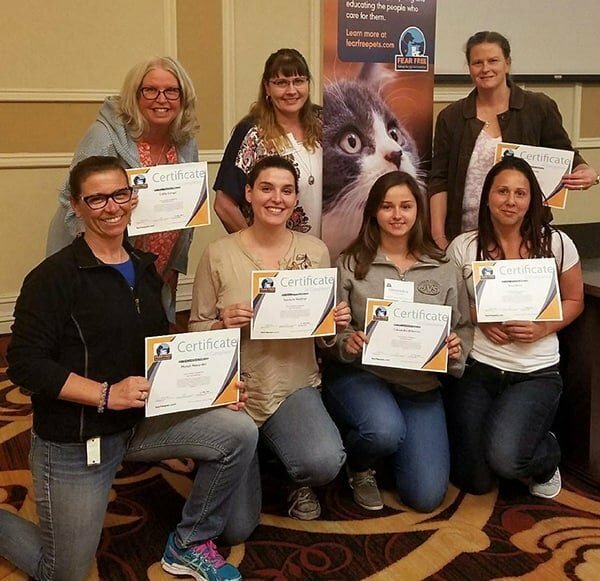 And your entire pet health care team here at CoastView Vet is enthusiastically practicing the calming and low-stress techniques taught in the Fear-Free Professional Certification Courses. 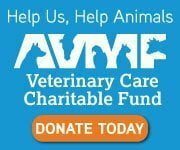 In fact, Dr. Schultz and Diane L were the first veterinary professionals in the Clairemont area to achieve Fear Free Professional Certification. Today, all staff members have either completed or are in the process of earning their individual certifications. Fear-Free was founded by Dr. Marty Becker, “America’s Veterinarian,” who you may remember from his 17-year role on Good Morning America. The intensive certification courses were developed by Dr. Becker along with an advisory group of medical and managerial professionals. The best way to understand what the Fear-Free Initiative is all about is to visit our hospital or have us come to you for a house-call. We also wrote a blog about it! Setting up your pet for success begins at home – your home – Your Fear-Free Happy Home. We make an admirable team because we are all committed to cradling your pet’s emotional well-being while providing the necessary medical care.